Moline, IL –The Steyr Elite Experience of a Lifetime Giveaway has begun. Created to celebrate the Steyr Elite Experience program, this giveaway runs from April 15 through August 31 and will conclude with three winners. Each winner will win a Steyr rifle and an expenses-paid training course at Steyr Academy. 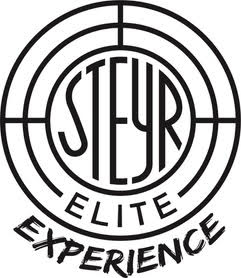 For those who don’t yet Know the Steyr Difference, Steyr’s Elite Experience program is a natural evolution of Steyr’s tradition of ongoing support for both their product and their customers. For the limited duration of the program, customers who purchase a Steyr rifle valued at $1,250 or more will also receive a free training course taught by the world’s most elite sharpshooters. Unless, that is, you’re a winner of the Steyr Elite Experience of a Lifetime Giveaway…in which case, your rifle, transportation, and training course are all complimentary! Each training course is tailored specifically to your rifle and to you, its user. Each is designed to help you achieve both your true potential as a marksman, and your rifle’s true potential as a tack-driver at distances you never imagined you could reach. Entering is simple: Just click here and provide your contact detailswww.steyrdifference.com/giveaway, and you’ll be registered to win! Established in 1864, Steyr Mannlicher, GmbH, is one of the world’s oldest and most prestigious firearms manufacturers. Steyr’s comprehensive lines of premium hunting rifles and precision sporting and tactical firearms are technically mature, and their subtle elegance also communicates the harmony between appearance and substance. Steyr’s legendary SBS actions and cold-hammer-forged barrels are distinctive and unparalleled. Steyr Arms is the subsidiary headquarters of Steyr Mannlicher in the U.S., and it is also the exclusive importer for Merkel firearms, JAGDHUND and X JAGD apparel. For more information, contact Steyr Arms at 2530 Morgan Rd., Bessemer, AL 35022; call (205) 417-8644; or visit www.steyr-arms.com/us. www.steyr-arms.com/us.